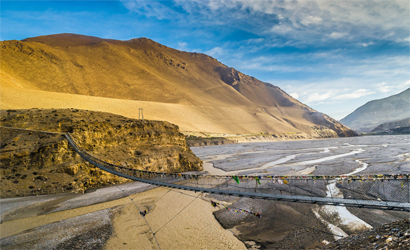 Jomsom Muktinath Trekking is situated North of Pokhara which is popular trekking trail in Annapurna in Annapurna region where you will see with different spectacular Himalayan views including Mt. Dhaulagiri 8167m, Mt. Annapurna I 8091m, Mt.Nilgiri 7040m, Mt. Annapurna south 7219m, Mt. 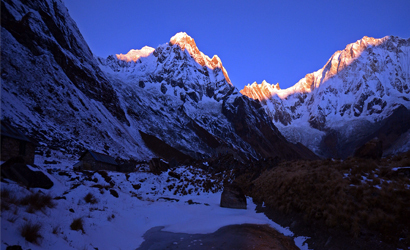 Annapurna II 7937m, Annapurna III 7555m, Mt. Annapurna IV 7525m, Mt. Himchuli 6441m, Mt. Fishtail/ Machhapuchhare 6998m, Tukuche peak 6920m ( Fishtail is one of the beautiful mountain in Nepal), Lamjung Himal 6586m etc, enjoy with mixed culture such as Brahmin , Chhetri, Thakali, Magar, Gurung etc, beautiful landscape, pilgrimage trekking tour both Hindu and Buddhist in Annapurna Himalayan range. See more. 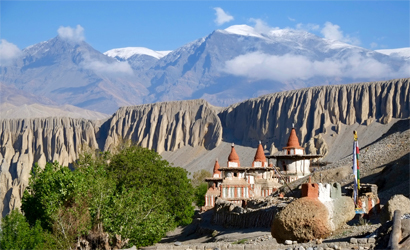 Jomsom Muktinath trekking it is the lower part of Mustang, the sowing village called Jharkot popular and oldest village in Mustang. There are traditional Buddhist monasteries as well as local houses. 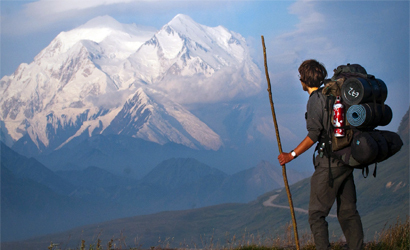 Jomsom Muktinath Ghorepani trekking highest altitude of this trekking is 3800m. That is at Muktinath temple, the sacred holy site for both Hindus as well as Buddhists. There are 108 water taps and two small pounds. The Hindu people believe that if you take bath 108 taps (108 is a sacred number in Tibetan Buddhism), cast in the shape of cows heads, which pour forth sacred water. Beautiful lush green forest,the rhododendron forest, rice field terraces and farmhouses. 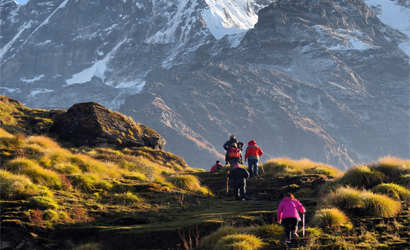 We enjoy views of Annapurna South and Nilgiri mountains in the morning before starting our trek to Tatopani. We begin with a descent to Sikha Village and continue descending to Ghar Khola Village. After crossing a suspension bridge, our trail climbs up to Tatopani. While here we can enjoy hot spring water and relax. We begin our trek after breakfast and ascend gradually on a trail with Kali Gandaki River on our right. We cross a suspension bridge over the river and continue our walk. The trail passes through the beautiful waterfall, Rupse Waterfall. We resume further to Ghasa which is beautifully located in the lower part of the Kali Gandaki Valley and is warm and green. The village is also a popular place for bird-watching enthusiasts. We ascend on a steep trail through a forest to the Lete Khola (stream). After walking further, we reach the Lete village. Next, we continue our trek on a trail east of the river and reach Larjung Village. On our trek today we also see beautiful apple orchards and vegetable farms. Marpha is known in Nepal for its tasty apples. From Marpha we trek on a trail that clings to a valley. 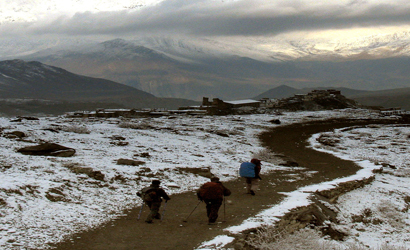 We ascend gradually on a ridge and reach Jomsom Village. 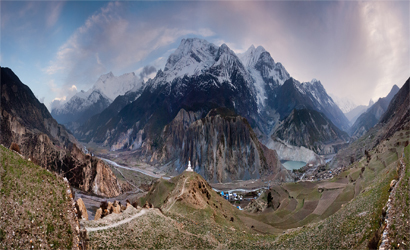 From here we trek to the north towards Kagbeni, up the Kali Gandaki River which is the deepest gorge in the world. It gets windy after walking a while so it's important to walk carefully at a steady pace. We pass through Eklebhatti village and continue towards Kagbeni. 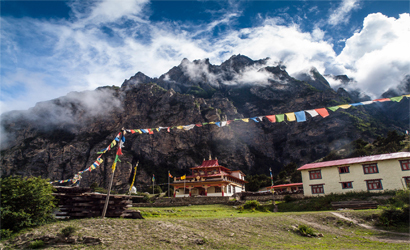 From Kagbeni, we get great views of Nilgiri, Dhaulagiri and Tukuche peaks. We visit the main temple in the morning and tour its surrounding. 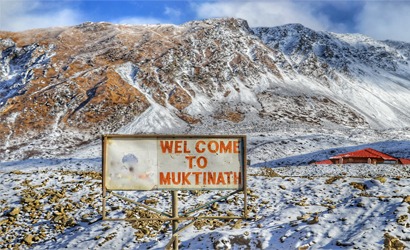 Muktinath is an important place of pilgrimage for Nepalese of both Buddhist and Hindu faiths as these two religions are intricately woven together in Nepal. We can admire the water spouts before paying a visit to a Buddhist monastery nearby. From Muktinath, we go back over our steps back to Jomsom, enjoying good views of Mt. Dhaulagiri. 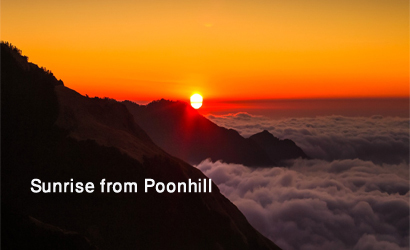 We take an early morning flight to Pokhara. The airplane passes through a gorge between Annapurna and Dhaulagiri mountains making the flight itself an amazing experience. After arriving in Pokhara, the beautiful ‘Lake City’, we can spend the rest of the day in leisure. 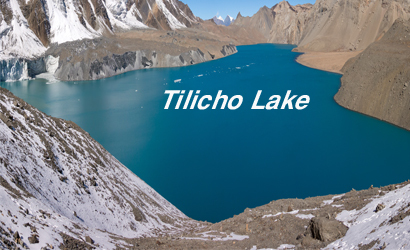 Boating in the Fewa Lake and wander in the appealing streets of ‘Lake Side’ is a popular choice among visitors.